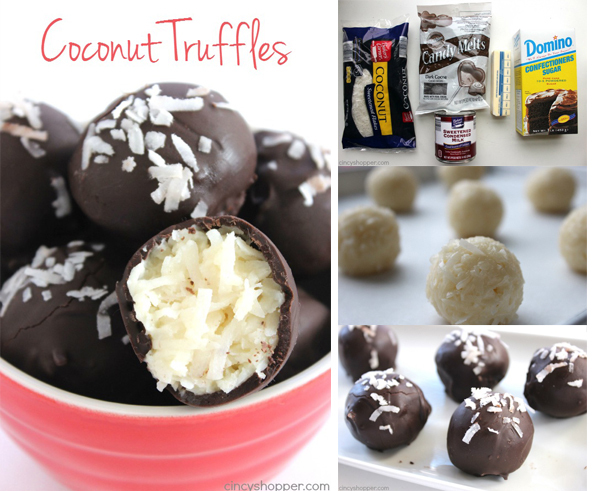 If you are looking to make a great candy for the holidays, these Coconut Truffles are so easy. 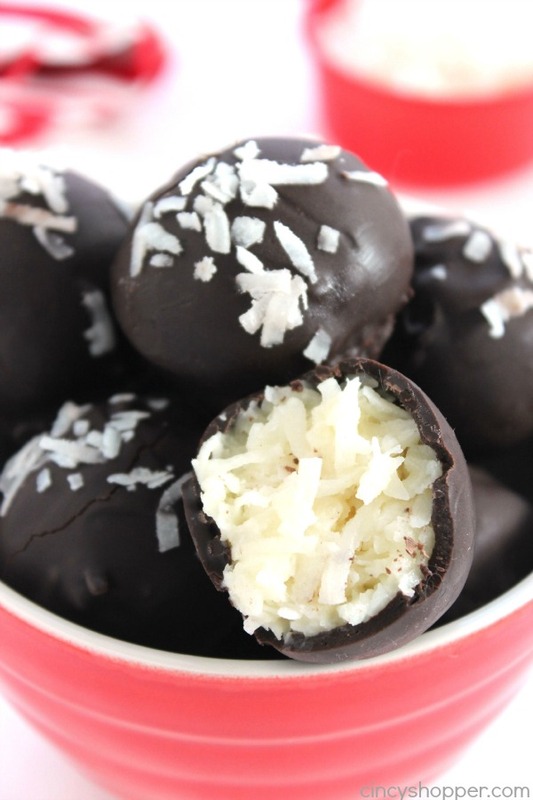 Amazing coconut cream filling coated in dark chocolate. 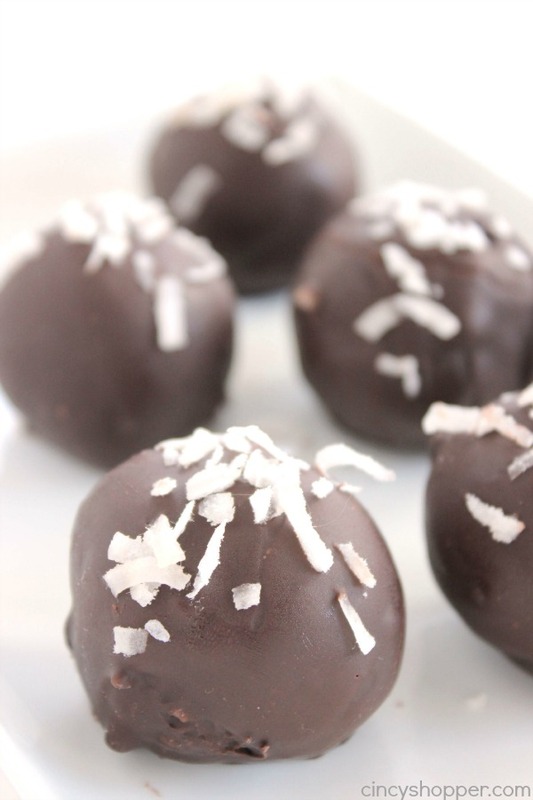 Great for dessert or even for gifting. One of my favorite candy bars happens to be a Mounds Bar. 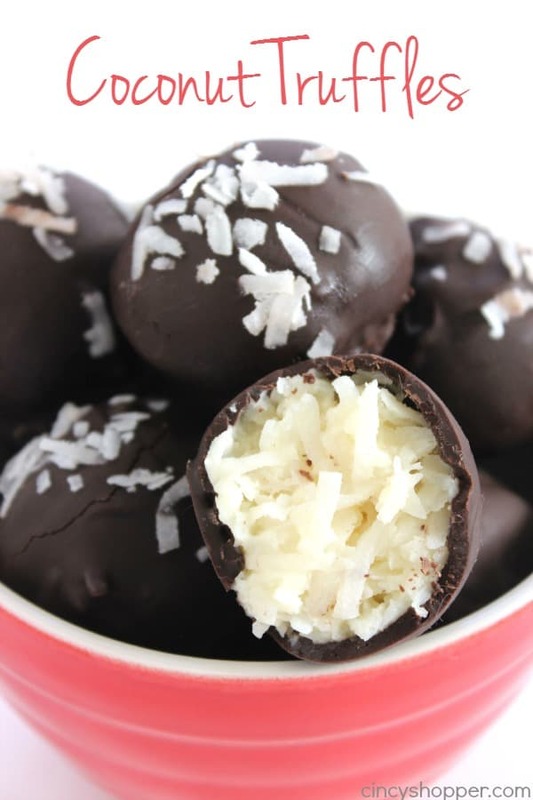 There is nothing better than coconut and chocolate together in one sweet treat. 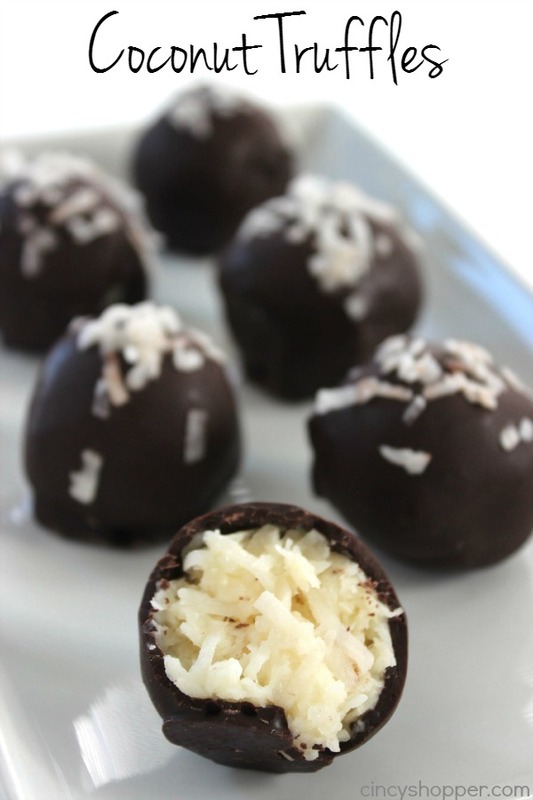 During the holidays, I will make a couple batches of our Homemade Chocolate Covered Cherries and also a batch of these Coconut Truffles. 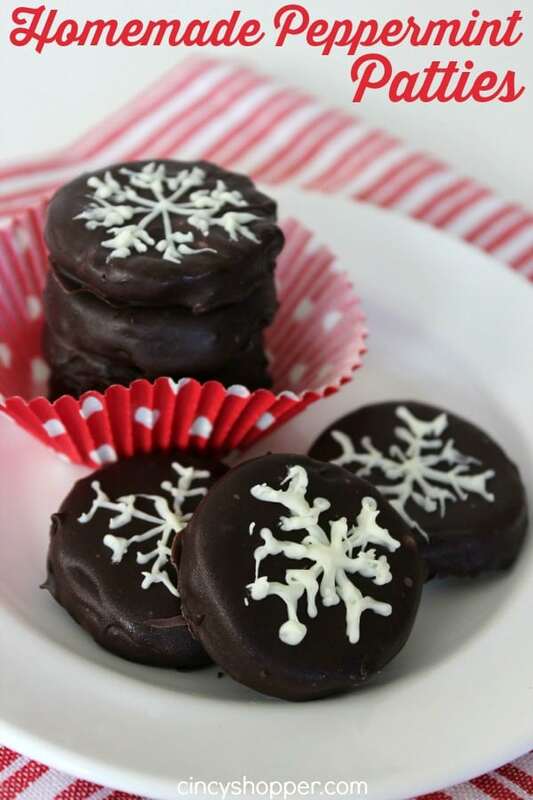 I like to have homemade candies on hand for when we have friends and family visiting over the holidays. I will quite often make extras just to gift. 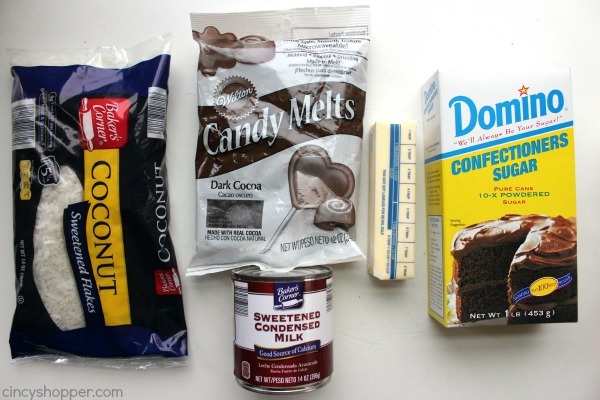 You can toss homemade candies in a clear cellophane bag with a ribbon and tag. They make for personal and inexpensive gifts to give to neighbors, teachers, etc. 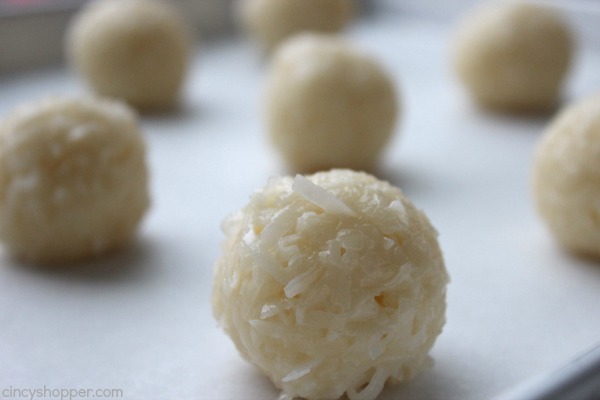 The main reason I like these coconut cream truffles is that they are so simple. 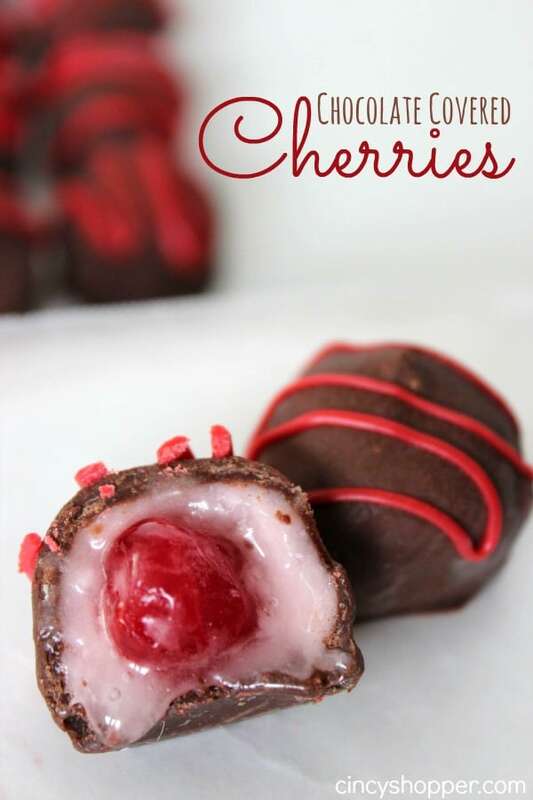 Plus they are super inexpensive to make. 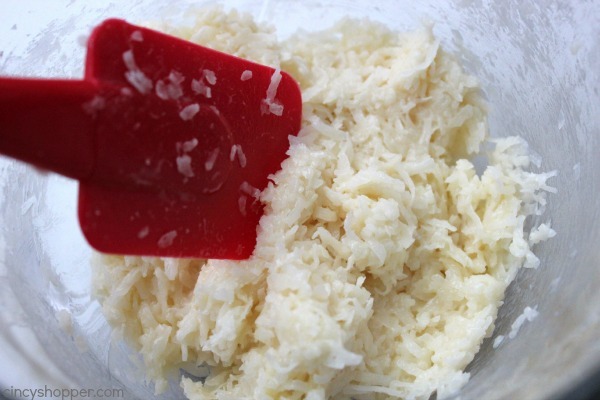 I purchased my coconut and my sweetened condensed milk right at Aldi for under $2. I made this batch yesterday morning in little to no time. Since there is no baking involved, I just have to wait for the coconut mixture to firm before coating them in chocolate. So simple! 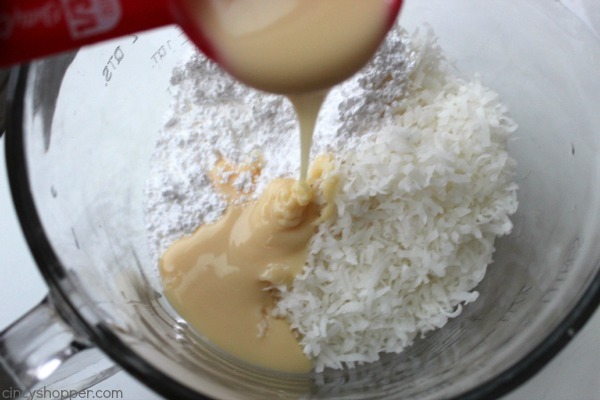 You will need some sweetened coconut, sweetened condensed milk, powdered sugar, butter, and some chocolate melting chips. 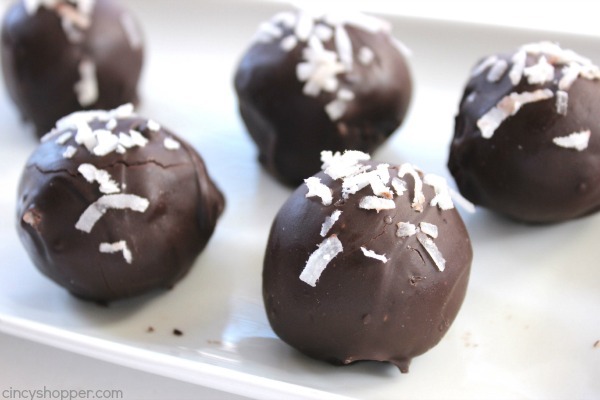 Since these are so simple, I plan to have my kiddos whip up a couple extra batches this holiday to give to their friends’ parents. 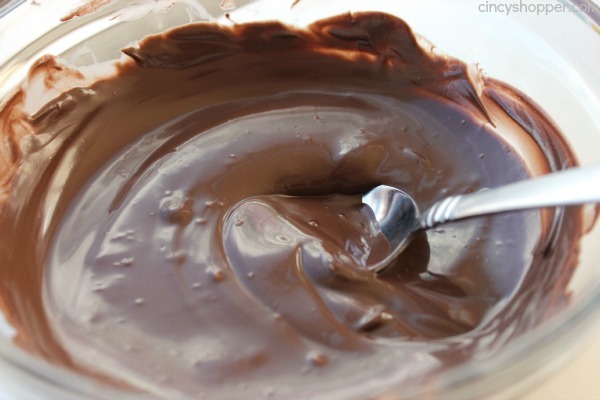 Combine all ingredients except for chocolate in a bowl and mix until well blended. 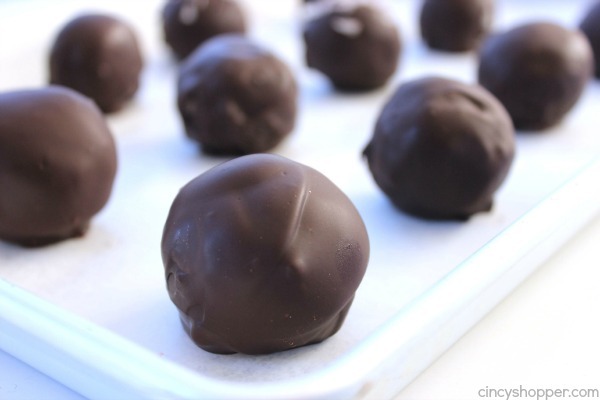 Use a cookie scoop to scoop balls onto prepared sheet or use your hand to form 1 1/2″ balls. 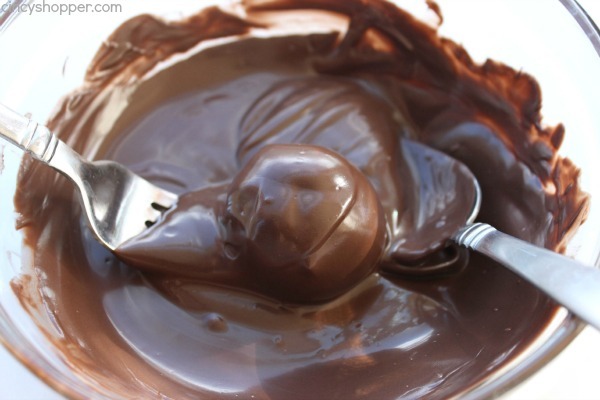 Place each frozen ball onto a fork and dip into melted chocolate. Gently shake off excess and return to sheet. 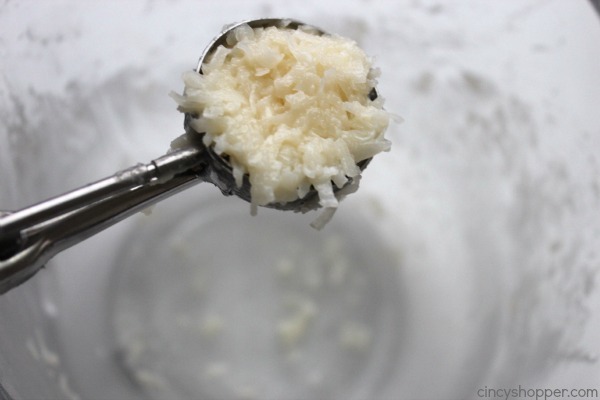 Sprinkle top with a little shredded coconut if desired. 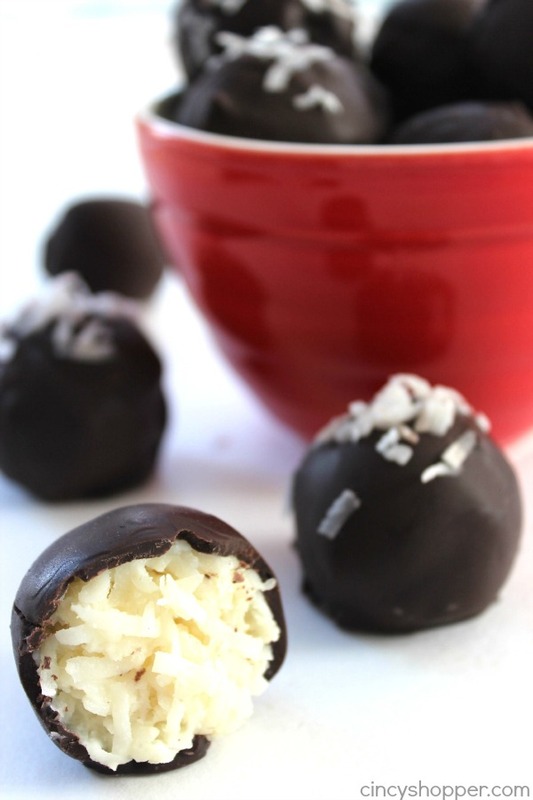 Do you have a favorite holiday candy that you make each year? 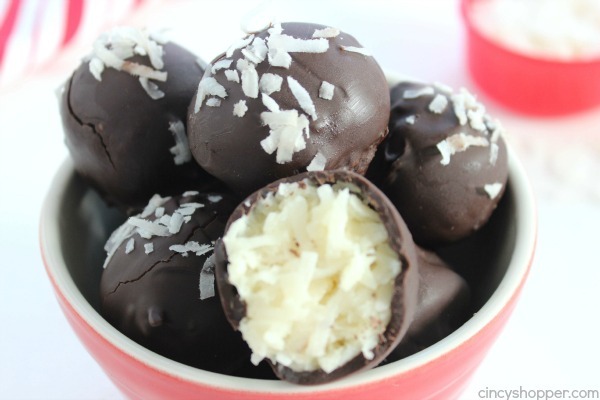 Use a cookie scoop to scoop balls onto prepared sheet or use your hand to form 1 1/2" balls. These are amazing!!! I made them for Christmas this year and my family could not believe I made them! They thought they came from a bakery! And they were so easy! Thank you for this!! I will make again! They sure can! I hope you enjoy!